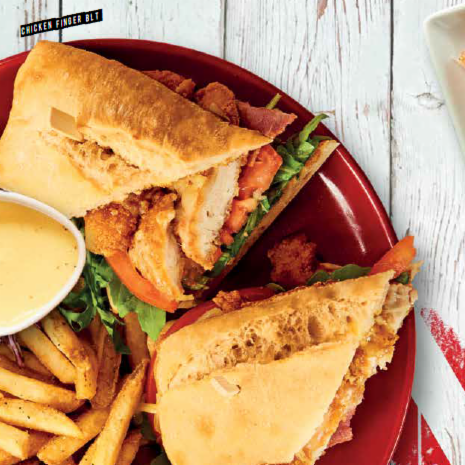 TGI Fridays is all about celebration and FUN! With tempting food, famous cocktails and our amazing team, we’ve got all the ingredients for fun right here. Join us any day of the week and we guarantee that you will get the full Fridays® experience! From our signature loaded skins to our Legendary Glaze made with Jack Daniel’s®, we take real American flavours and give them a Fridays® twist. These undeniably tasty and original flavours are at the heart of everything we do. We pride ourselves on giving a personalised experience and we’re big on celebration! Join us Monday to Thursday at Broad Street Plaza for our great value 2 course menu, see our website for more at tgifridays.co.uk.